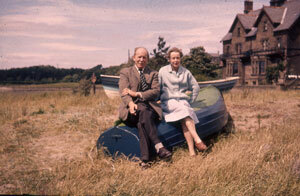 He married again to Doreen Sample in 1961 at Kirknewton. 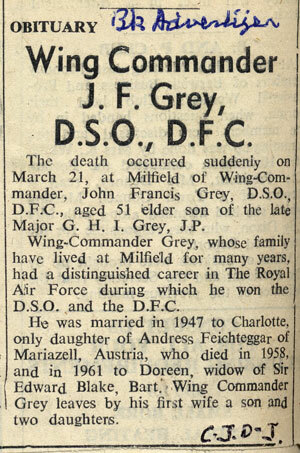 They lived at Milfield Hill until his early death in 1964 at the age of 51. 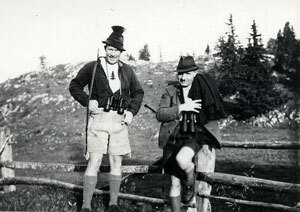 Right Jack in Austrian costume. 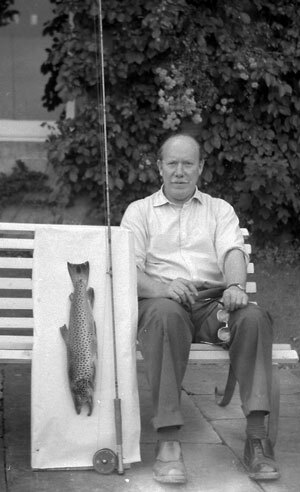 He met his wife Lotte in Austria. 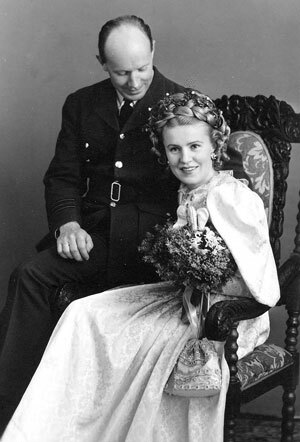 Jack and Lotte married in 1947. 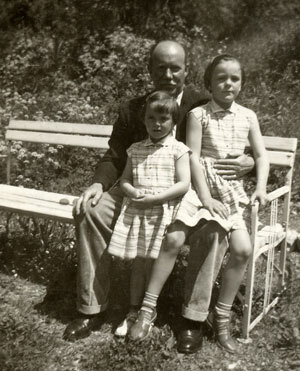 Lotte died in 1958 in Austria. 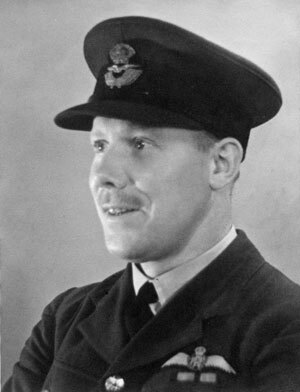 Wing Commander, D.F.C. 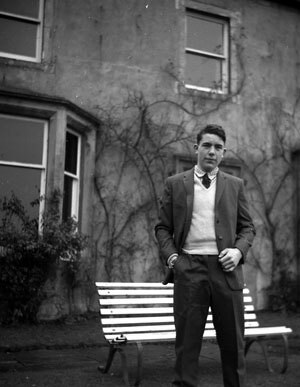 and D.S.O. 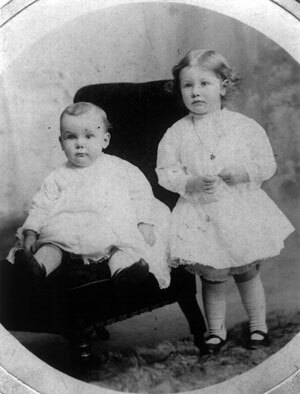 Right: Jack aged 11 months with his older sister Hestia aged 2 years 3 months 1913. 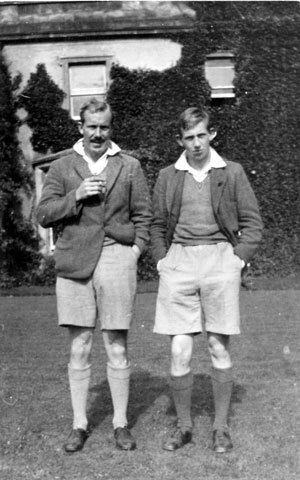 Right: Jack with his younger brother Robert on the front lawn at Milfield Hill. 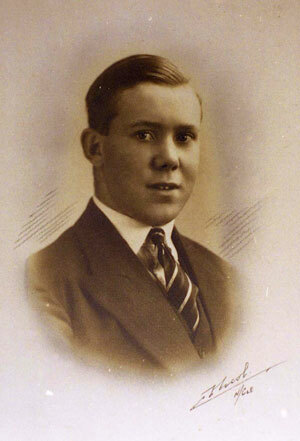 He and Robert attended the Royal Grammar School in Newcastle. 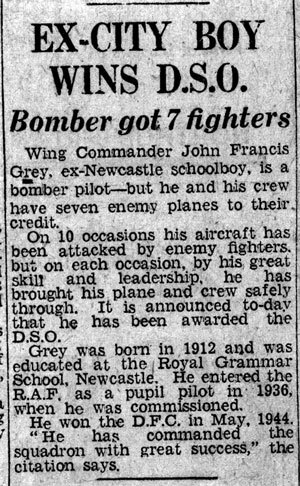 Jack joined the RAF in 1936 when he was 24. 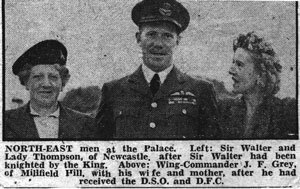 Above with the crew of of his Lancaster Bomber. 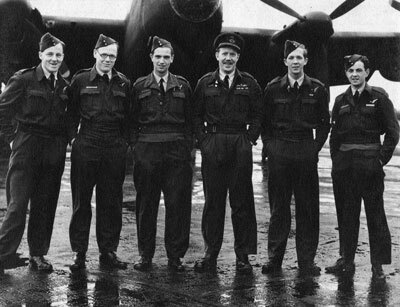 From left: John Cook, Bob Jack, Happy Hall, Jack Grey, Larry Sutherland and Wallace Mcintosh. 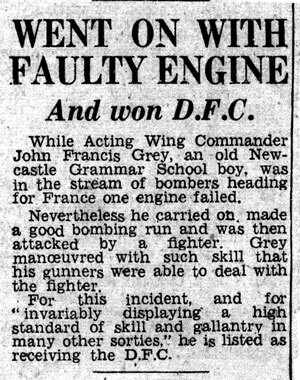 1944 Some of his war experiences are described in McIntosh's book "Gunning for the Enemy"
In his will Jack stipulated that Milfield should be sold, he did not want the worry of its upkeep to be handed on to his children. 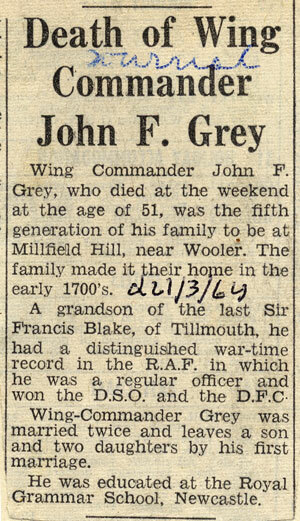 His son Ivar is the last of the Greys to have lived at Mllfield Hill. 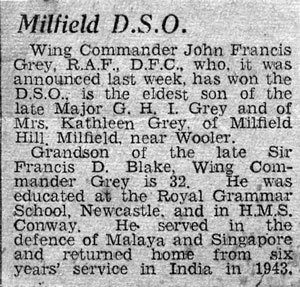 Jack inherited Milfield on the death of his father Ivar in 1943. 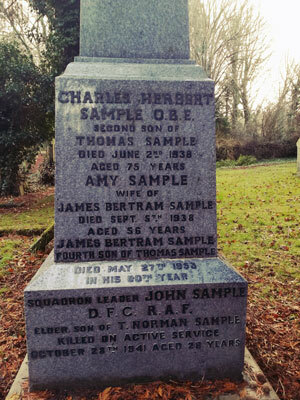 However his mother continued to live there until her death in 1958. 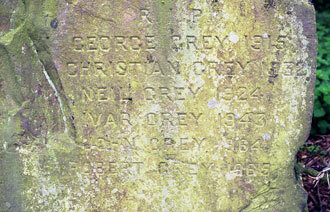 Jack is buried at Fireburn with his brother Robert, father Ivar, uncle Neil and grandparents George and Christian Grey. 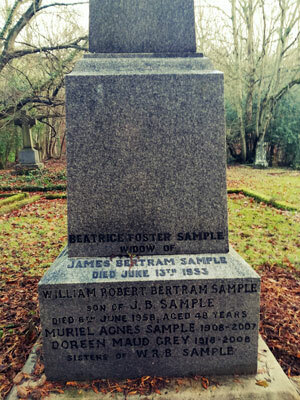 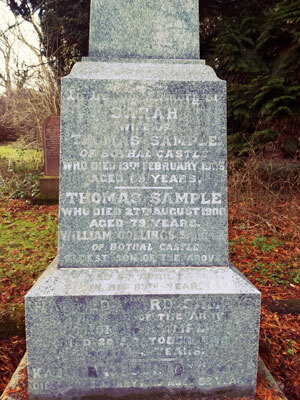 His second wife Doreen died in 2008 and is buried in the Sample family grave in St Andrews Churchyard, Bothal. 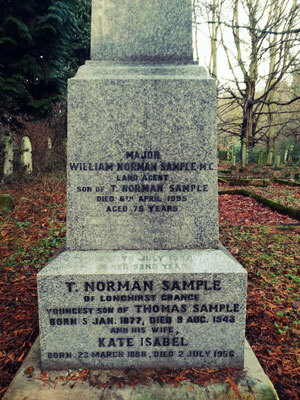 Photos sent to Julie Simpson by an ancestry member.